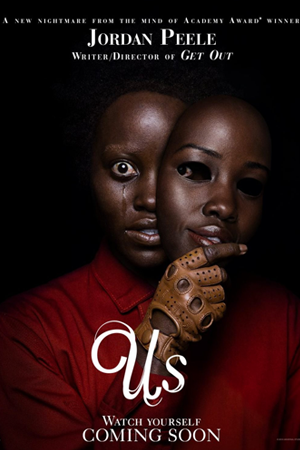 After sending shockwaves across the film industry and setting a new standard for provocative, socially-conscious horror films with his directorial debut, Get Out, Academy Award winner Jordan Peele returns with Us. Lupita Nyong’o (12 Years a Slave) plays Adelaide Wilson, a woman returning to her beachside childhood home with her husband, Gabe (Winston Duke, Black Panther), and their two children for a summer getaway. Haunted by a mysterious trauma from her past, something made worse by a string of eerie coincidences, Adelaide feels her paranoia rise as she grows increasingly certain that something bad is going to happen to her family.